Lego has had a line of watches for a few years now, but the designs were decidedly targeted at kids. 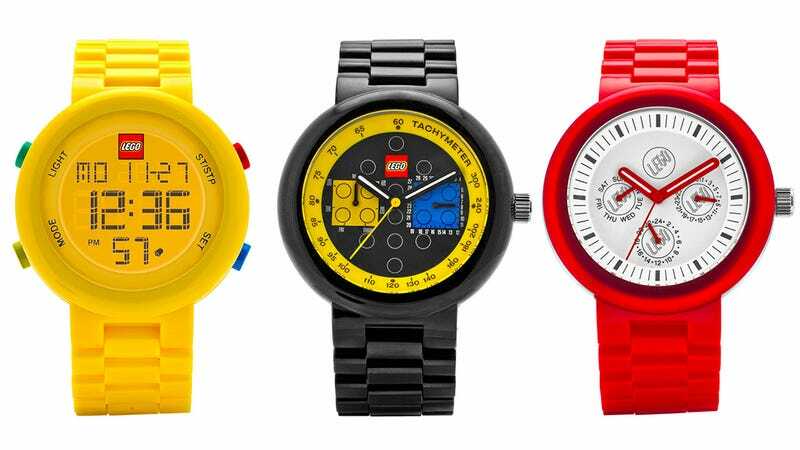 And since the building toy probably has as many adult fans as children who love it, Lego will be releasing a new line of watches this November with designs geared more towards its grown-up fans. That being said, no one is going to mistake any of the styles in the new line as being a Rolex or a TAG Heuer. Bright colorful plastics still dominate the motif for these new timepieces, which will come in both analog and digital designs.